Home / Stock Picks / Stocks to Buy / Should You Buy Microsoft Stock in March? Should You Buy Microsoft Stock in March? With a market value of just over $874 billion, Microsoft (NASDAQ:MSFT) is the largest U.S. company by market capitalization. Over the past year, Microsoft stock is up 15%, or nearly quadruple the gains of the Nasdaq-100 Index, of which Microsoft is a marquee member. A 15% gain in 12 months for a company the size of MSFT does not go unnoticed and that performance can give investors pause about getting involved with Microsoft stock over the near-term. While those concerns and concerns pertaining to valuation are legitimate, MSFT stock can credibly command higher multiples relative to similarly mature technology companies because it has the growth catalysts to back up those multiples. A while back, Microsoft had a quirky advertising campaign where the catchphrase was “To The Cloud.” Some critics panned the commercials for being light on relevant cloud computing content and points, but Microsoft was onto something. Today, the company is a leader in cloud computing and Microsoft stock is benefiting. Cloud revenue for Microsoft’s recently reported fiscal second quarter grew to $9 billion, equaling a run rate of $36 billion, up from $34 billion in the company’s fiscal first quarter. By some estimates, Azure sales could reach $26.4 billion through fiscal 2021 and some market observers believe the cloud could replace Windows as Microsoft’s primary area of emphasis. That justifies the premium MSFT stock commands over rivals, such as Apple (NASDAQ:AAPL), International Business Machines (NYSE:IBM) and Oracle (NYSE:ORCL). While MSFT’s biggest revenue drivers are mainly business-to-business products, but with Xbox, the company is a major player in the booming video game arena. While Xbox and related fare are unlikely to usurp Azure and Windows as Microsoft revenue drivers, video game exposure is a nice compliment to Microsoft stock’s growth prospects. In what could be a modest catalyst for Microsoft stock, the company is expected to reveal plans for cross-platform partnerships, including making games available on Nintendo’s (OTCMKTS:NTDOY) Switch and making Xbox Game Pass available to users of Sony’s (NYSE:SNE) PlayStation 4. Last year, Microsoft completed multiple acquisitions to bolster its video game studio. By revenue, Microsoft is estimated to be the fourth-largest video game company. MSFT stock is a dividend stock and with the company’s low yield (1.65%) and massive cash position, there is room for the stock to be a dividend growth stock. At the end of last year, the company had $127.66 billion in cash and short-term investments on hand. Microsoft already is a dividend growth story. Microsoft stock currently has a quarterly dividend of 46 cents a share. That is up from 42 cents a share for the three first quarters of last year and nearly triple the 16 cents a share per quarter the company paid in 2011. 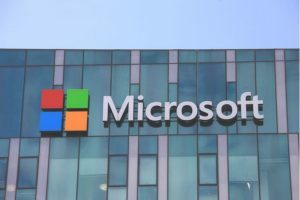 Article printed from InvestorPlace Media, https://investorplace.com/2019/03/should-you-buy-microsoft-stock-march/.